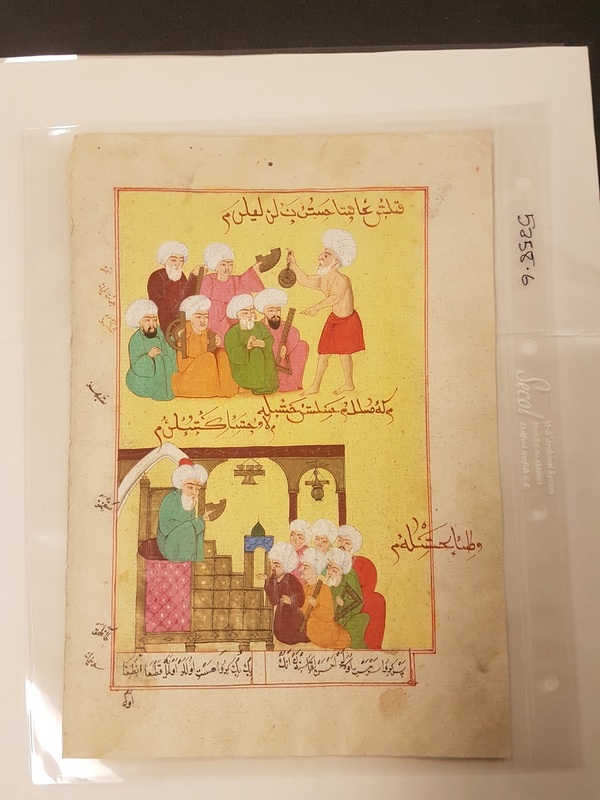 In this episode, Nir Shafir talks about the problem of "fake minatures" of Islamic science: small paintings that look old, but are actually contemporary productions. As these images circulate in museums, on book covers, and on the internet, they tell us more about what we want "Islamic science" to be than what it actually was. That, Nir tells us, is a lost opportunity. 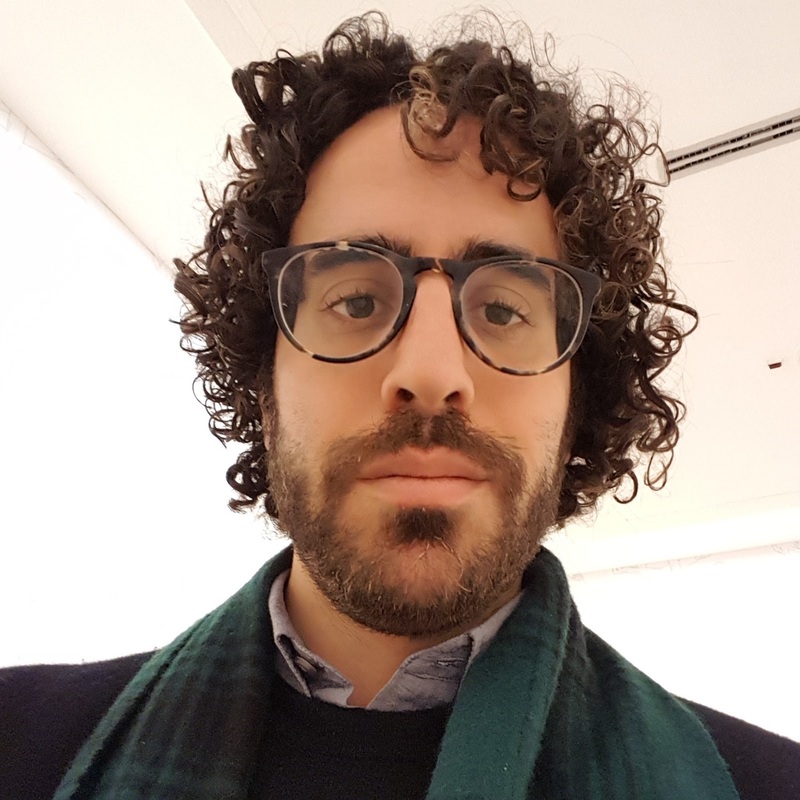 Nir Shafir researches the intellectual and religious history of the Middle East, from roughly 1400-1800, focusing on material culture and the history of science and technology. 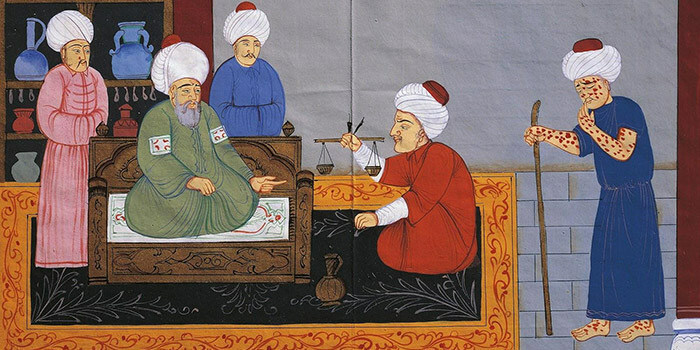 He serves an assistant professor of history at UCSD and is part of the editorial board of Ottoman History Podcast as well curating it series on history of science. Suzie Ferguson is a Ph.D. Candidate in Middle Eastern History at Columbia University. 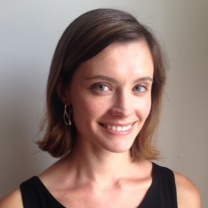 She is currently finishing a dissertation entitled "Tracing Tarbiya: Women, Gender and Childrearing in Egypt and Lebanon, 1865-1939." 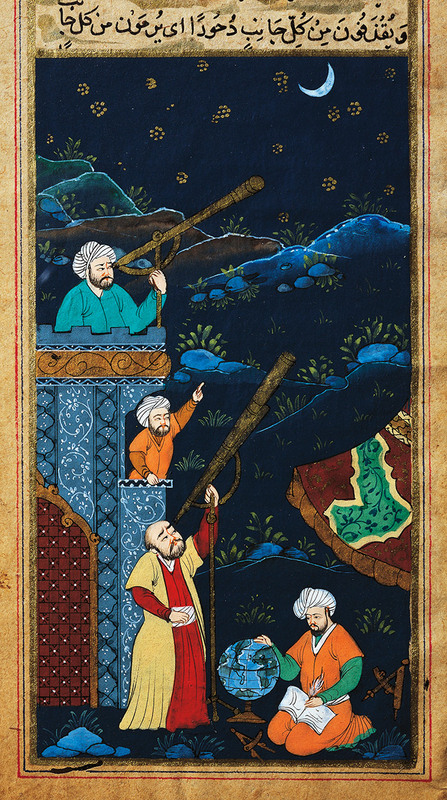 A fake miniature depicting three men in turbans looking through the night sky through telescopes. See Aeon article for explanation of the forgery. A fake miniature depicting a sick man coming to a pharmacist for treatment. Distributed via Aramco World magazine. 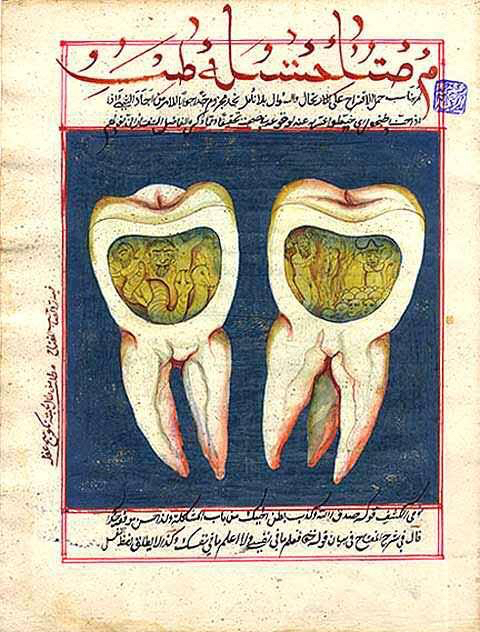 A fake miniature depicting "tooth worms" causing cavities in the teeth. 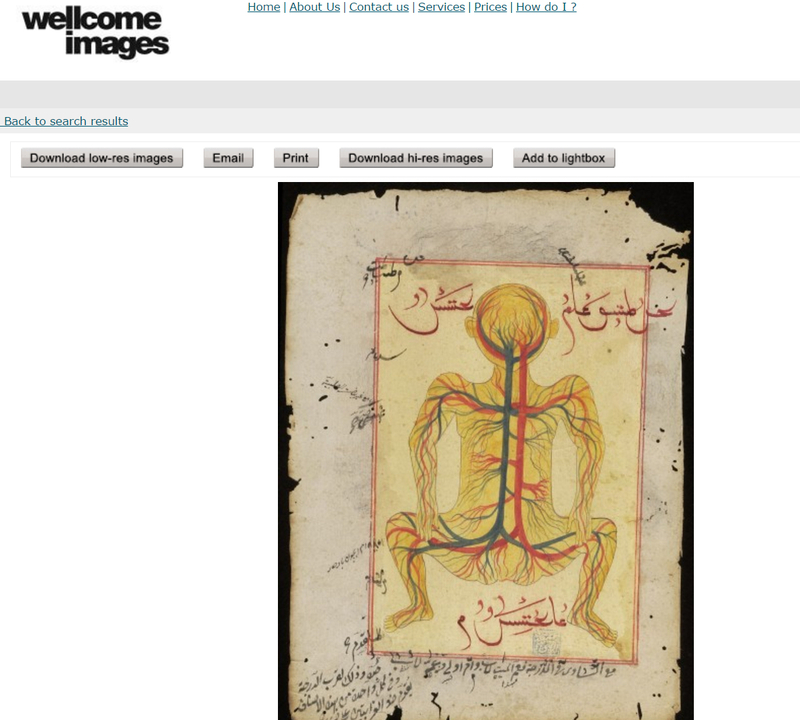 Screengrab by author of Wellcome Images photo service of a fake miniature with gibberish Arabic copying a well-known genuine image of the circulatory system. Nir Shafir, "Forging Islamic Science," Aeon, 11 Sep 2018. Monica Green, Kathleen Walker-Meikle, and Wolfgang Müller, "Diagnosis of a 'Plague' Image: A Digital Cautionary Tale," The Medieval Globe 1, no. 1 (January 4, 2016). Jones, Lori, and Richard Nevell. "Plagued by doubt and viral misinformation: the need for evidence-based use of historical disease images." The Lancet Infectious Diseases 16, no. 10 (October 1, 2016): 235–40. Brentjes, Sonja, Taner Edis, and Lutz Richter-Bernburg. 1001 distortions: how (not) to narrate history of science, medicine, and technology in non-Western cultures. Bibliotheca academica. Reihe Orientalistik ; Bd. 25. Würzburg: Ergon Verlag, 2016. Fuat Sezgin, The Istanbul Museum for the History of Science and Technology in Islam: An Overview (Istanbul: Istanbul Metropolitan Municipality Culture Co, 2010). Elias Muhanna, The World in a Book: Al-Nuwayri and the Islamic Encyclopedic Tradition (Princeton, NJ: Princeton University Press, 2017).